Roasted Green Gram Chutney is an easy and healthy recipe. If you’re wondering how to spice up your food, try this chutney. Made with green gram, this chutney tastes great with plain white rice and ghee. This chutney can be made with split moon dal as well. Another wonderful accompaniment for this chutney is Kadhi (Mor Kolambu). This chutney is very popular in Andhra Pradesh where it’s called Veyinchina Pesara Pachadi. Heat a pan and add Â½ cup whole green gram and roast until it get brown. Keep aside and cool down. Add 2tsp oil in a pan and fry Grated coconut, Tamarind, Garlic, Ginger, Green Chile, Red chili until the raw smell goes out. Add roasted gram and all the fried contents in a mixer Jar. Add 1tsp of salt and little water(Based on the consistency you want) , grind finely. If you want for rice make it to thick. If this needs for Dosa, idli, Chappathi then add little more water and grind finely. Once ground, season the chutney. Add 1tsp of oil in a pan. Once oil hot, add 1tsp of mustard seed and 1tsp of Urad dal. Once the mustard seeds start splutter, add curry leaves and add this into chutney and gently mix. Now the wonderful and healthy chutney is ready to serve. Note: If you take with rice, add this mix and add 1tsp of ghee or sesame oil with the rice. You will feel the fantastic taste. The medicinal properties of papaya! Good laxative. It's a best natural medicine for Constipation, diarrhea, dyspepsia. It will provide enough stamina. It will helpful to cure Psychic related diseases. It will be good for the liver too. It controls inflammation of the pancreas. It will resolve liver problems. It helps to regular menstrual cycle. It will give relief from Anemic. Papaya is used to treat inflammation of the spleen. Eating raw papaya or raw papaya juice helps to treat infections by worms. Arginine which is available from the papain enzymes helps to increase the ability of masculinity. Also Carpaine from papaya helps to maintain the healthy heart and fibrin helps to Blood coagulation. Combination of various enzymes from papaya will cure cancer. It helps to keep the shining of the body and maintaining being young. Whenever following up fasting, drink papaya juice and cucumber juice alternatively. This will helpful to remove the waste from the body. Whoever taking antibiotic treatment needs to eat lots of papaya. Because, this will reproduce lots of good bacteria on intestinal muscles which are destroyed during the treatment. Well ripened papaya fruit seeds, will help to expel intestinal worms. Also will avoid thirst. 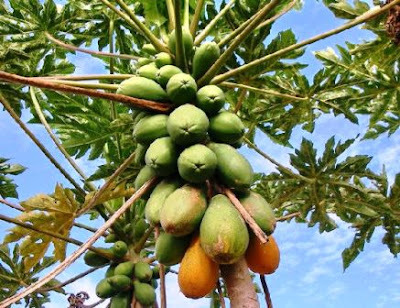 Papaya leaves powder will helpful for elephantiasis disease, nerve pain! Papaya will be available for a whole year. Papaya is rich in Vitamin A. This will be helpful for Dental related diseases, melt down the small stone from the bladder. Also, it will strengthen the veins, improve the blood production, to increase the memory power! Women who don't have proper levels of menopause, particularly women who suffer from menstrual disorder needs to eat papaya to get better! People who are having Papaya fruit often, will not be facing any diseases. Even by any kind of infectious.Papaya fruit contains a type of naturally disinfect and kill disease germs in the blood associated with the disease. Gola urundai(Balls) are the very famous south indian starter or snack. Mutton kola urundai / mutton meat ball is so famous in Madurai hotels/Mess. Mutton kola will be in the menu of all non-veg hotels in Madurai. 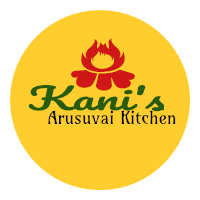 This is famous recipe in madurai famous restaurants like Amma mess and Kumar mess. Hence,I can’t delay to post these mutton meat balls anymore! Mutton kola urundai fry and gravy are very common in households in and around Madurai. In hotels, they do add egg for perfect shape, but in home kitchen, we don’t mind that! Heat some oil and deep fry these balls until golden color. Now the Kola mutton balls are ready. Cabbage bonda is a yummy tea time snack recipe. It is so easy and can be made in short time. So it is perfect snack to prepare for the sudden guest visits. The base ingredient to make this snack is gram flour (Besan/kadalai maavu). We can make variety of bondas with the besan/gram flour as base. This cabbage bonda reminds me my school days. There is tea stall in the outside of my school. While crossing that shop in the evening time this bonda aroma from that shop itself will make us salivate, that too in that hungry time no words to explain that feel. While seeing the ingredient list it may look difficult, but this bonda is so easy to make and tasty. In a bowl, add chopped cabbage, chopped onion, chopped green chilli, curry leaves, coriander leaves, chilli powder, besan flour, corn or rice flour, chilli powder, salt and mix well without water. Then add water spoon by spoon and make consistency such a way that we can make hard balls. Heat a pan and add oil. Once oil hot enough, reduce the flame into medium and put the balls into the oil. Deep Fry till golder color and turn gently to the other side and deep fry. Once done, remove from oil and put them onto paper towel to remove the excel oil. This can be served without any sauce. In case needed serve with coconut chutney or tomato ketchup.